How can we control cloud deployments? How does devops work in the cloud? Will my deployments be secure? How can we migrate existing apps to the cloud? The answer? Automate with Ansible. When you deploy an application into AWS, you will soon realize that the cloud is much more than a collection of servers in someone else's data center. You now have a fleet of services available to you to rapidly deploy and scale applications. However, if you continue to manage AWS like just a group of servers, you won’t see the full benefit of your migration to the cloud. Ansible automation can help you manage your AWS environment like a fleet of services instead of a collection of servers. From the beginning, Ansible has offered deep support for AWS. Ansible can be used to define, deploy, and manage a wide variety of AWS services. Even the most complicated of AWS environments can be easily described in Ansible playbooks. Once your AWS-based application environments are described with Ansible, you can deploy them again and again, easily scaling out to 100s or 1000s of instances across multiple regions, with the same results each and every time. Ansible also has over 1,300+ additional modules to help you manage every aspect of your Linux, Windows, UNIX, network infrastructure, and applications - regardless of where they're deployed. With Ansible, one common language can be used to describe everything deployed in your cloud (and your enterprise). 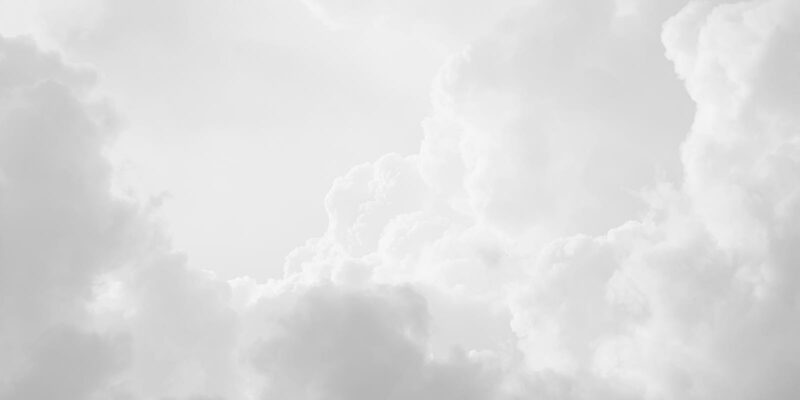 Now that you have deployed applications into the cloud, how do you keep track of what you have? Keeping accurate track of deployed infrastructure is a critical part of ensuring security policies are always followed and systems are properly managed through their lifecycles. You don’t want to be paying for services you don’t need. 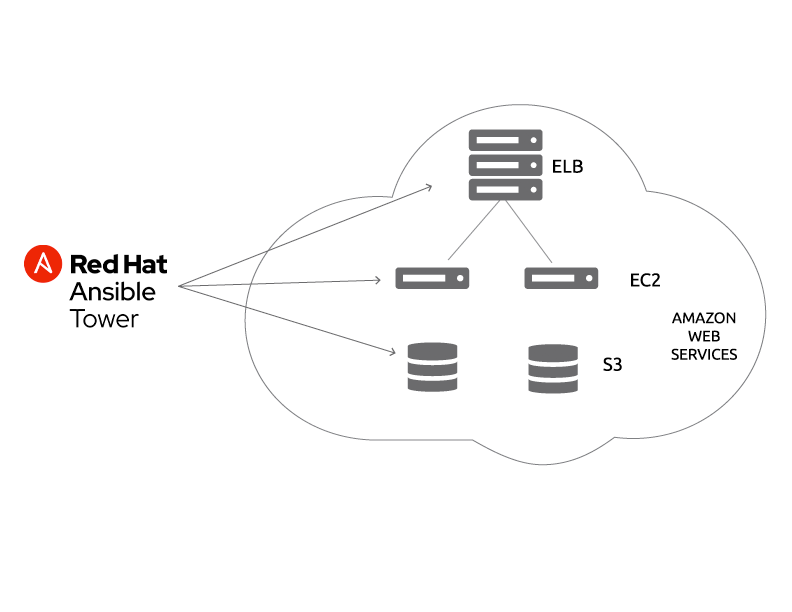 With Red Hat® Ansible® Tower's cloud inventory synchronization, you can know exactly what AWS instances you have no matter how they were launched. Simply enter your AWS credentials and your entire AWS infrastructure can be made available as resources to use in your Ansible automation jobs. When you only had one or two engineers working in AWS, everything seemed easy. Now that you’ve got ten or more, you need controls in place that restrict users’ ability to modify certain environments. Ansible Tower delivers with its extensive set of role-based access controls that ensures users will only have access to the AWS resources (networks, systems, security groups, etc.) that they require for their job. Plus, Ansible Tower encrypts credentials such as AWS and SSH keys so that you can delegate simple automation jobs to junior employees without giving out the keys. Your CIO just mandated that you have to migrate dozens of workloads to AWS. With Ansible, you can use the same simple playbook language to manage your infrastructure and deploy your application. Use Ansible to define your application locally. Once you can repeatedly deploy that application locally, re-deploying it to a different infrastructure is as straightforward as defining your AWS environment, and then applying your application’s playbook. No more surprises. 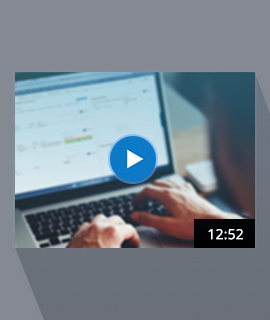 We chose Ansible as our first orchestration solution for its simplicity combined with power. 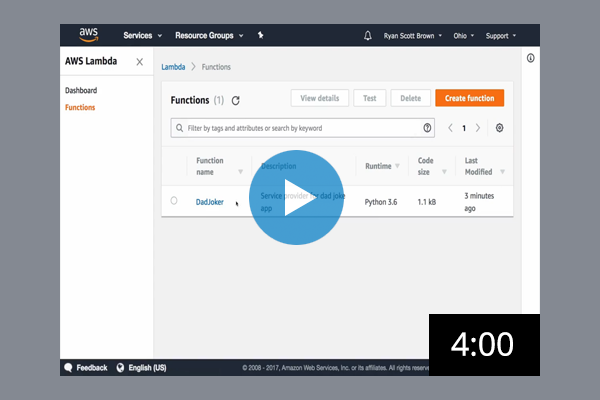 Learn how to rapidly deploy 100+ AWS instances with Ansible Tower in under 10 minutes.